The elbow is a synovial joint, which means the joint has a synovial capsule and is bathed in synovial fluid for cartilage nourishment. The bones that make up the elbow joint are the humerus, which is the upper arm bone. Below or distal to the humerus are the ulna, which is the larger bone on the little finger side of the forearm, and the radius, which is the smaller bone located on the thumb side. The elbow joint allows flexion, extension and rotation of the forearm. The elbow contains ligaments. Ligaments are dense connective tissue that connects bone to bone. In the elbow, the two most important ligaments are the ulnar collateral ligament (UCL) and the lateral collateral ligament. The UCL is located on the medial (inside) aspect of the elbow joint. The lateral collateral ligament runs along the lateral (outside) part of the joint. Together the UCL and lateral collateral ligament hold the humerus and ulna mutually to form the majority of the elbow joint. Both ligaments are the main source of stability to the elbow. The UCL forms a triangular shape along the medial (inside) aspect of the elbow. The ligament has an anterior bundle, posterior bundle and a transverse or intermediate portion. The UCL can easily be damaged by repeated throwing actions by the arm. Such is the reason why UCL injury is common in college and professional-level baseball pitchers. Years of throwing the baseball places a lot of stress on the UCL. Damage to the UCL is seen in other sports such as javelin throwing, tennis players, gymnastics, softball pitchers, football players, and wrestling. Tommy John surgery is UCL reconstruction of the elbow joint. The UCL in the medial (inside) elbow is replaced by a tendon harvested from the patient’s forearm, hamstring, knee or foot. A cadaver graft may be used. It is called Tommy John surgery because the first pitcher to undergo the procedure in 1974 was named Tommy John. The main symptom of UCL damage is pain along the inside of the elbow. The elbow joint may feel unstable. A diminished ability to throw with that arm is usually noticed by the athlete. Irritation of the “funny bone” or ulnar nerve may happen causing numbness and tingling in the little and ring fingers. Diagnosis of UCL injury is made by physical exam by an orthopedic surgeon. X-rays may be taken to rule out a fractured bone. An MRI with gadolinium dye may also be performed. Arthroscopic surgery, where a small scope is inserted into the elbow joint, may be done to access for damage to the UCL and elbow. In the docking technique, an incision is made along the medial side (inside) of the elbow. Two holes are drilled in the ulna and three holes in the medial epicondyle of the humerus. The three holes drilled into the humerus make a triangle with the bottom hole being larger than the two top holes. A tendon graft is harvested. Sutures are attached to both ends of the graft. The tendon graft is looped through the holes drilled in the ulna, then the graft is stretched across the elbow joint. The two sutures at the ends of the harvested tendon are threaded into the larger bottom hole in the humerus. Each suture is then threaded out of each of the two top holes drilled in the humerus. Utilizing the two sutures, the surgeon can adjust the amount of tension needed to hold the joint in position. The two sutures are tied together to hold the tendon graft in place. The incision is closed. Another method to reconstruct the UCL is the figure of eight technique. An incision is made along the medial elbow. Two holes are drilled in the ulna, along with two holes in the medial epicondyle of the humerus. The harvested tendon graft is looped through the holes in the ulna and humerus in a figure of eight pattern. Adjustment in tension is made to hold the elbow together. The sutures are sewn into the tendon itself. The incision is closed. If the ulnar nerve has been stretched and damaged, it will be re-routed to the front of the elbow instead of running in the back of the joint. As in all surgical procedures, complications may happen. The typical complications of anesthesia can arise such as a reaction to the drugs being used. Any operations run the risk of infection. Such is treated with antibiotics. 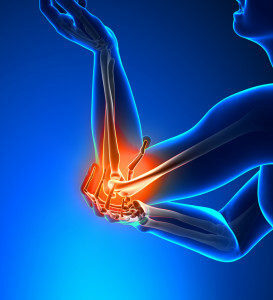 Injury can happen to the ulnar nerve during the procedure. The symptoms may resolve on their own, or may require additional surgery for ulnar nerve entrapment. For many patients, there will be a slight loss of range of motion at the elbow joint. The arm may not straighten completely. Loss of range of motion of this degree does not affect strength or function of the throwing arm. Rehabilitation or physical therapy after Tommy John surgery is extremely important. After surgery, the elbow is immobilized in a splint for 10 days. After the splint is removed, a range of motion brace is applied. Gentle range of motion exercises are performed. In addition, exercises are done to strengthen the arm and shoulder. Six weeks after surgery, elbow strengthening exercises are prescribed. About 4 or 5 months after surgery, the patient starts throwing the ball without a wind-up motion. This progresses to a gentle wind-up motion. At 7 months post-operative, the patient may return to the mound for practice pitches. Around 9 months after surgery, the patient may re-enter competition. Full recovery to competitive levels occurs in 85 percent of patients. Some baseball pitchers feel they can throw harder after Tommy John surgery. However, pitchers achieve pre-injury levels due to increased stability of the elbow joint and greater attention to fitness and conditioning. Remember, about 10 to 15 percent of patients will not return to competitive levels after Tommy John surgery. UCL damage is not uncommon in certain athletes, especially baseball pitchers. The biggest risk factor is the actual number of pitches thrown in a life time. Tommy John surgery is effective in returning the patient back to competition. Younger baseball pitchers should follow guidelines on how many pitches can be thrown during the season. Lyman S, Fleisig G, Andrews J, Osinski E, “Effect of Pitch Type, Pitch Count, and Pitching Mechanics on Risk of Elbow and Shoulder Pain in Youth Baseball Pitchers.” The American Journal of Sports Medicine, 30(4): 463-468, 2002. Whitely R, “Baseball Throwing Mechanics as they relate to Pathology and Performance-A Review.” Journal of Sports Science and Medicine, 6(1): 1-20, 2007. ASMI. ASMI Position Statement for YOUTH Baseball Pitchers. Available at: http://www.asmi.org/asmiweb/positionstatement.htm .2011. 3 Responses to "Tommy John Elbow Surgery"